How often do you go beneath your home, just to check out the moisture levels in your crawlspace? For most people, the answer is rarely, if at all. But that space under the main floor of your house is a prime area for water vapor build-up. Crawlspaces are often designed with patches or complete areas of uncovered soil, which release water vapor at varying rates depending on weather conditions. Essentially, it all comes down to the amount of groundwater beneath your home and climate conditions that may or may not encourage evaporation. It’s when this space experiences a fair amount of evaporation that you can run into trouble maintaining optimal conditions in your crawlspace, not to mention the accumulation of mold and other harmful substances. But, with the help of a quality vapor barrier, you can reduce the amount of lingering moisture and possibly solve future issues before they even occur. When you install a vapor barrier for your crawlspace, you invest in a way to moderate the very basic level of your family’s home. Often described as impermeable substances, vapor barriers are often made from polyethylene consisting of pure plastic beads for maximum protection. When your professional crawlspace inspector prepares to install the vapor barrier, he or she will have already tested the moisture levels to decide if the vapor barrier is the right option. From there, the polyethylene sheet will be measured, cut, and pulled tightly across the floor as it is secured using a staple gun and, for good measure, moisture-proof tape. 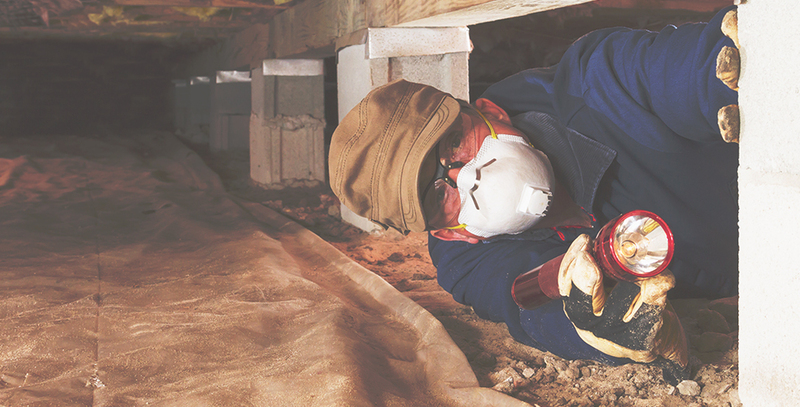 In the end, you can rest assured that your crawlspace – and therefore the rest of your home – has the protection from moisture build-up and subsequent damage to keep your home on steady ground for years to come. If you’re ready to consider a vapor barrier for your home and improved quality of life for you and yours, contact Sahara Crawlspaces for an inspection and consultation.